Rigorous studies on hospital art are sparse, and most have measured patient art preferences rather than effects on outcomes such as pain. The limited findings nonetheless show similarities to results from nature studies. Results suggest a consistent pattern wherein the great majority of patients prefer and respond positively to representational nature art, but many react negatively to abstract art (Carpman & Grant, 1993; Ulrich, 1991; Ulrich & Gilpin, 2003). Nanda, Hathorn, and Neumann (2007) displayed a diverse collection of 17 paintings to patients in their hospital rooms, and asked them to rate each painting for the following questions: (1) How does the picture make you feel, and (2) Would you like to hang this picture in your hospital room? Findings indicated that patients were significantly more positive about nature paintings (landscapes with verdant foliage, flowers, and water) than they were about best-selling pictures or even works by masters such as Chagall and Van Gogh (Nanda et al., 2007). The most positively rated painting depicted a gentle waterfall with vegetation. In the same research, representational nature paintings containing human figures and harmless animals such as deer were preferred over counterparts that were somewhat abstract. Eisen (2006) studied the art preferences of schoolchildren and hospitalized pediatric patients across four age groups: 5–7, 8–10, 11–13, and 14–17 years of age. Findings suggested that, irrespective of age or gender, the great majority of hospitalized pediatric patients and schoolchildren were similar in preferring nature art (such as a forest setting with lake and deer) over abstract or cartoon-like images. Although nature pictures elicit positive reactions, there is limited evidence that emotionally inappropriate art subject matter or styles can increase stress and worsen other outcomes (Ulrich, 1991, 1999; Ulrich & Gilpin, 2003). It may be unreasonable to expect all art to be suitable for high-stress healthcare spaces, because art varies enormously in subject matter and style, and much art is emotionally challenging or provocative. The pitfalls of displaying emotionally challenging art are revealed by a study of psychiatric patients housed in a unit extensively furnished with a diverse collection of wall-mounted paintings and prints (Ulrich, 1991). Interviews with patients suggested strongly negative reactions to artworks that were ambiguous, surreal, or could be interpreted in multiple ways. The same patients, however, reported having positive feelings and associations with respect to nature artwork. Additional evidence on the stressful impact of abstract art comes from a study of a sculpture installation created for cancer patients in a large university hospital (Ulrich, 1999). Prominent in the installation were several tall metal sculptures dominated by straight-edged and abstract forms, many having pointed or piercing features. A questionnaire study found that 22% of the patients reported having an overall negative emotional response to the sculpture garden (Hefferman, Morstatt, Saltzman & Strunc, 1995). Many found the sculpture ambiguous (“doesn’t make any sense”), and some patients interpreted the sculptures as frightening and asked for a room change so they would not overlook the artworks (Ulrich, 1999). Carpman J. R. ,& Grant M. A. &lpar; 1993 &rpar;. Design that cares: Planning health facilities for patients and visitors &lpar; 2nd ed. &rpar;. Chicago:American Hospital Publishing, Inc.
Ulrich R. S. &lpar; 1991 &rpar;. Effects of interior design on wellness: Theory and recent scientific research. Journal of Health Care Interior Design, 3 &lpar; 1 &rpar;, 97–109. Ulrich R. S. ,& Gilpin L. &lpar; 2003 &rpar;. Healing arts.In S. B. Frampton, L. Gilpin, and P. Charmel &lpar;Eds.&rpar;, Putting patients first: Designing and practicing patient-centered care. San Francisco:Jossey-Bass, 117–146. Nanda U., Hathorn K. ,& Neumann T. &lpar; 2007 &rpar;. The art-cart program at St. Luke’s Episcopal Hospital, Houston. Healthcare Design, 7 &lpar; 7 &rpar;, 10–12. Eisen S. &lpar; 2006 &rpar;. Effects of art in pediatric healthcare. Unpublished doctoral dissertation. Texas A&M University, College Station, TX: Department of Architecture. Ulrich R. S. &lpar; 1999 &rpar;. Effects of gardens on health outcomes: Theory and research.In C. Cooper Marcus & M. Barnes &lpar;Eds.&rpar;, Healing Gardens &lpar;pp. 27–86 &rpar;. New York:Wiley. Hefferman M. L., Morstatt M., Saltzman K. ,& Strunc L. &lpar; 1995 &rpar;.A room with a view art survey: The Bird Garden at Duke University Hospital. Unpublished research report, Cultural Services Program and Management Fellows Program, Duke University Medical Center, Durham, N.C.
You’re right, Henry! Very few studies been done on art in hospitals. I am looking forward to the results of our Italian research project, “Beyond Traditional Treatment… Establishing Art as Therapy”, which should be completed by the end of this year. The Foundation for Photo/Art in Hospitals has partnered with GOIRC – Gruppo Oncologico Italiano di Ricerca Clinica (Italian Oncology Group of Clinical Research) with the collaboration of professors from Careggi Hospital and the University of Florence, Italy. You will be one of the first persons to receive the results! I think this is a wonderful study with a lot of potential. As Henry commented earlier, the statistical analysis aspect of a study like this is what will make the findings more convincing. I think w/o any definitive evidence, we can all agree that art has the power to lift our spirits. Thank you so much for posting this link- you always keep us abreast of the new information coming out. I enjoyed reading the comments and look forward to the Italian Research project. I would like to clarify that in the study we conducted we used 17 pictures- including both paintings and photographs, and the top ranking picture was, in fact, a realistic nature photograph. I dont believe there is any research comparing the merits of photographs versus paintings, within the context of healthcare, and is certainly something that needs to be done- since both media have their own unique appeal. Also, I should mention that the Chagall did not do particularly well with the patients. Again, while I personally love Chagall as well, it seems that the ambiguity in his work (which is part of what makes it great art), is what caused patients to rate it negatively. Interestingly, some patients made a distinction stating “I would like to put that in my home, but not here”. That distinction between what people want to see when they are healthy and what they want to see when they are unwell, trapped and vulnerable (in other words, in a hospital), is exactly what makes healthcare fineart so challenging. Again we need much more research before we can be definitive (and really- should we be definitive, or merely perceptive). But that is a whole other discussion! I believe your website is a great resource in bringing all of us who seeking answers to similar questions together. Thank you. This is very wonderful knowledge of our life. This art show help of other people. This is very message for younger. Nice blog get lots of information !!! Im away from the studio and wont be able to respond to your requests until Sept. 13. 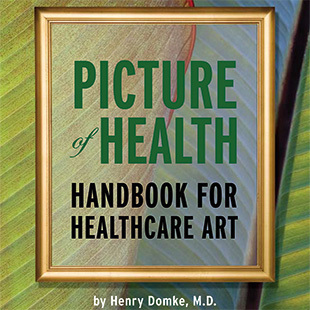 For information on what we offer and how to place an order, please read the Frequently Asked Questions at http://www.henrydomke.com/faq.htm. Ill respond to your email when I return. Thanks for sharing a piece of writing which is the best source of knowledge for me..! !